We understand that sometimes you just need a hassle-free fast cash loan. Weddings, fines, birthdays, injuries, car breakdowns—the list of life’s unforeseen curveballs goes on. If you find yourself in need of funds at short notice, you can turn to the friendly finance specialists at MoneyShop for a Quickfix loan of up to $500. There are no queues to wait in or meetings to set up, just fast loans approved as quick as possible. Click here to apply online—if you’d prefer to talk to us, just call 0800 004 021 and one of our helpful team members will be more than happy to have a chat and take you through what we will need to get your application sorted! 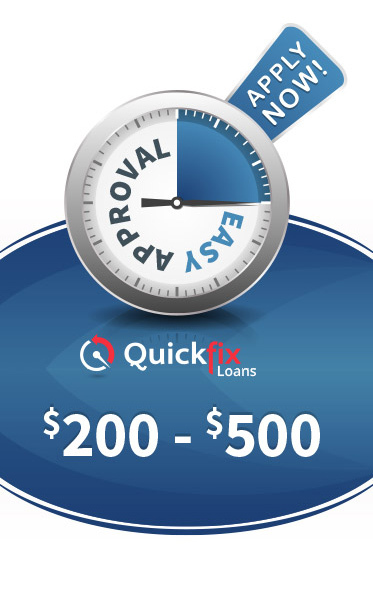 If you need up to $500 to help out with some of those unexpected bills, then talk to us here at MoneyShop about Quickfix fast loans today. NO INTEREST and just a $65.00 set up fee! You will not pay any interest on our small loans. Keeping to your payment schedule means you’ll steer clear of other loan charges too. Other finance companies may have only fixed term products. That way they maximise the interest they earn from you. Here at MoneyShop, we are flexible to YOUR needs. CLEAR CREDIT? You can borrow up to $500 (or $200 if you are 18 - 20 Years) - Quickly! Minor credit problem? Contact us anyway! Remember we are here to help YOU. APPLY NOW and we will get in contact within 24 hours! What are you waiting for? We’ve been in the industry for more than 20 years as a locally owned and operated finance company. Unlike our competitors, we focus on providing fast loans that are tailored to your needs and put you in a better position no matter how unique your circumstances may be. While we accept applications online, you are more than welcome to visit us in person. Check out our branches in Otahuhu, Manukau, Henderson, Takanini and Waipapa to find out more.